Introducing Hanna. Miss Hanna is a 2 year old Shepherd mix who somehow managed to find herself at Memphis Animal Services. It always baffles us as to how these amazing dogs end up in those situations, but they do time and time again. Hanna was heartworm positive when rescued her a few months ago but has since completed treatment. She is bound to be someone's best friend - she loves to play with other dogs and adores attention and affection from her human. Her infectious smile is sure to brighten up your bad days. 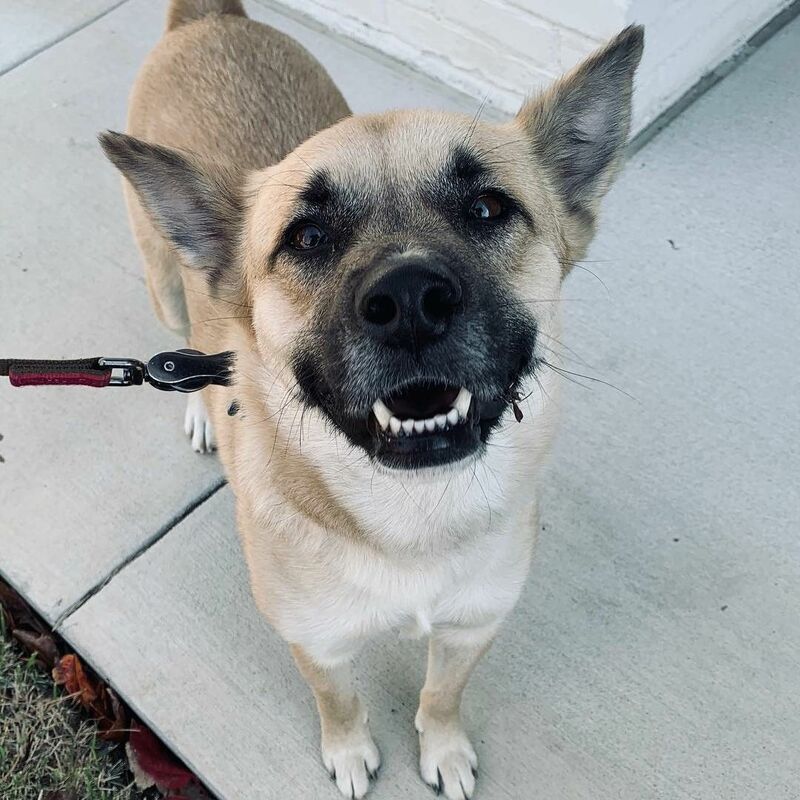 Hanna's adoption fee is $500 and will include her spay surgery, all up to date shots, heartworm treatment, microchip, deworming, health certificate and transportation from Memphis to your area upon adoption. You may find our adoption application at www.wilsonanimalrescue.com/adopt. Fill that out and we are happy to answer any questions you have about Hanna. Wilson Animal Rescue is a 100% volunteer-run, foster-based rescue group in Memphis, Tennessee. We focus on rescuing dogs who are in danger of being euthanized at the city's run shelter and other midsouth shelters. We strive to place dogs in loving homes not only locally but in cities in the Midwest and New England areas. We keep in touch with our adopters - and not everyone who applies for a dog gets one. We say no as much as we say yes. We are looking for people who feel the same way about their dogs as we do - that they are family and bringing one into your home is a major commitment. We also appreciate it takes a tremendous amount of trust to adopt a dog before meeting - trust on behalf of the adopter and trust from our fosters. They have to trust that we are sending the dog, who they have loved, to a wonderful new home. This trust is ever present in our minds and not something we take lightly, so we are happy to answer adopters questions. Please do, however remember that we are 100% volunteer run - we have jobs and families and we do our very best to respond as quickly as we can to all inquiries and follow up questions. We have two vets we use primarily - Cloverleaf Animal Clinic and Walnut Grove Animal Clinic - they are both located in Memphis. Please feel free to call either of their clinics if you are interested in a reference for our rescue. Wilson Animal Rescue is 501(c)(3) based in Memphis, TN. We are able to transport our dogs upon adoption via Road Home Pet Transport. We send an adoption application to be potential adopter's, they fill it out and email it back to us. Once we read it over, called references and feel like it may be a good fit, we put the adopters and fosters in contact so they can further discuss the dog. We feel that being completely prepared, and transparent about the dog, is the best way to go. The adopter can ask questions about routine, behavior, etc. We are really looking for a best fit for the dog and adopter. And because all of the dogs are living in homes (no longer in a shelter environment) we really get to know them like they are our own. We get to see who is cat friendly, who really loves having kids around, who may be a little more unsure in new situations, etc. The adoption application can be found at www.wilsonanimalrescue.com/adopt.